Buying a new home can be one of the most exciting times of your life, but it can also be rather stressful. Not only does it mean making a huge financial investment, but it also requires that you make a number of decisions that will impact your life for years to come. 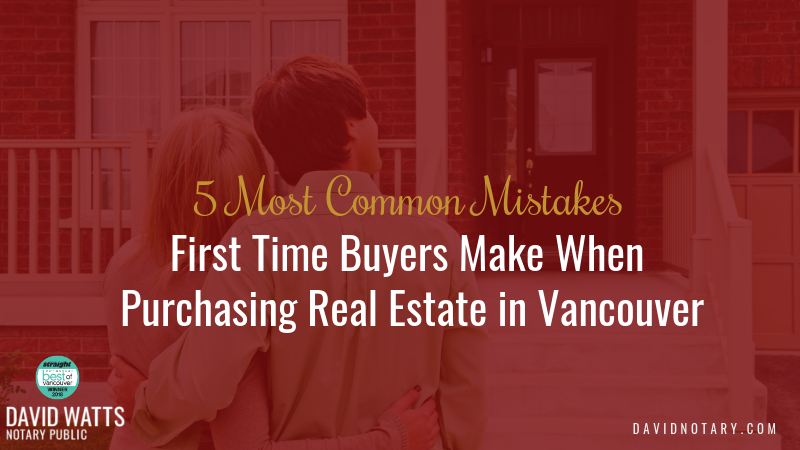 This is especially true in Vancouver, where a red hot market, enhanced mortgage rules and new government regulations add extra pressure to the process of purchasing a home. In this context, understanding the buying process and learning from people who have previously purchased properties in the city are great ways to make the process of buying a house a little bit easier. That’s why we’ve put together a list to help you avoid making common mistakes when the time comes to buy a new place. Many people start their search for a new home by going onto the Internet, visiting their bank’s website, and using a basic calculator to get an estimate of their mortgage. We highly recommend that you do not do this. There tends to be a pretty big difference between what the calculator tells you your mortgage will be and what it ends up being in reality. That’s why we believe that it’s critical to have your loan pre-approved (not just pre-qualified) before you even start searching for a home. This will give you a better idea of how much house you can actually afford, whilst also showing sellers and real-estate agents that you’re serious about purchasing. In your urge to start seeing new homes, you may be tempted to accept the first mortgage offered to you–but this is probably not a good idea. Before you start looking at homes, it’s critical that you actually get a mortgage plan that is right for you. While doing this isn’t easy, it will help guarantee that you are purchasing a home that’s really within your means, which is crucial for long-term financial stability. That’s why we recommend that you shop around before settling on a mortgage. Try out a few different banks; or better yet, hire a mortgage broker that will help you figure out how much you can truly afford, determine what the best mortgage product is for you, and compare options that help you save money. Many home buyers make the mistake of trying to fly solo when looking to purchase a home. While they may have read some articles and done good research about the home purchasing process, they are in no way qualified to do this on their own. 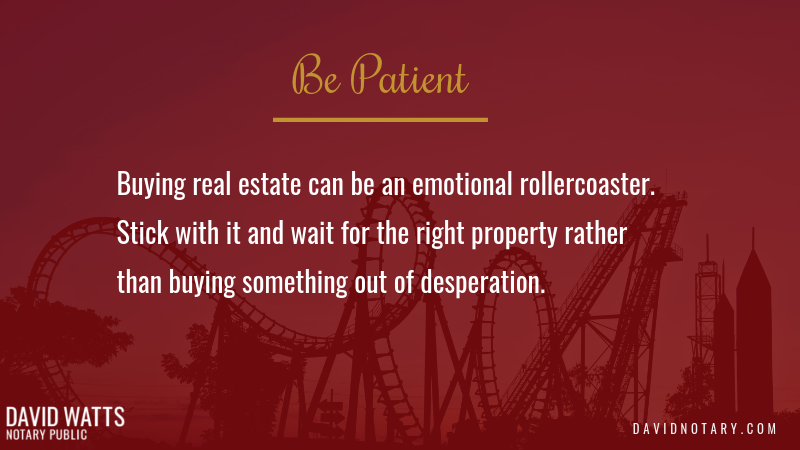 That’s why we always recommend that buyers hire a real estate agent to help them throughout the purchasing process. Real estate agents will help you find homes that are within your means, negotiate contracts, and provide support every step of the way. That’s why it’s critical to find a real estate agent that can help you make a smart purchase. Wondering how to find a real estate agent that will help you purchase your next home? Make sure you read our post on choosing the right real estate agent for you. One big mistake home buyers make — especially those flying solo — is buying properties out of desperation. These people tend to buy something that’s barely “good enough” for them, rather than something that really suits their needs, just because they’re sick of the emotional rollercoaster of searching for homes. While this may seem tempting at the time, it is a terrible idea. Remember, you’ll probably be at your new home for several years so it’s important that you purchase something that will make you happy. Rather than buying out of frustration, stop looking for a while, or heed our advice and hire a real estate agent that can help you look for properties that tick the boxes you are looking for. Not budgeting properly for closing costs is one of the most common mistakes buyers make when purchasing property in Vancouver. Whether you’re a first time homebuyer or an experienced purchaser, you need to learn about closing costs–and budget for them properly. 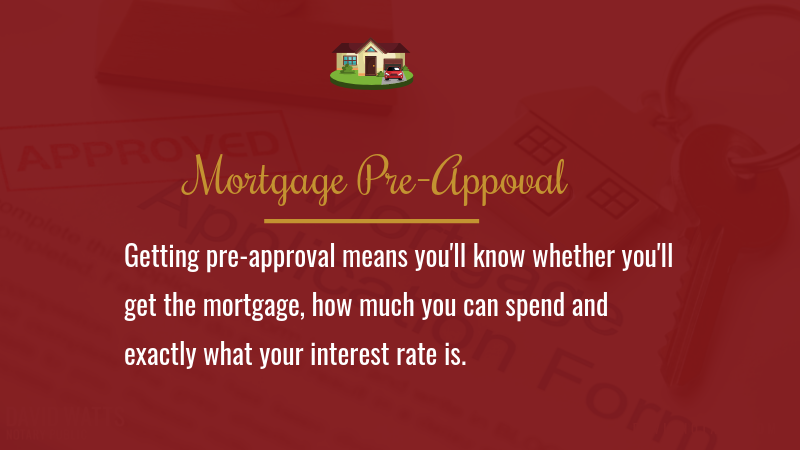 Not doing this can land you in a heap of financial trouble and can put the approval of your mortgage at risk. BC Notaries provide conveyancing and other legal services on more than half of all real estate transactions in B.C. and are highly trained and experienced in both simple and complex real estate transactions. By giving you professional legal guidance on the purchase of a home, notaries will help you navigate through this often daunting process and help make it much easier for all buyers. Want to know more? Get in touch now. When you are purchasing property in British Columbia there is an exemption for property transfer tax for first time home buyers’. In order to claim this exemption there are five qualifications that need to be met.